There are plenty of online communities which can be found on the Internet – Facebook, Twitter, Google+ and YouTube are easily the most popular and recognizable ones. However, there are plenty of other gems online which could potentially impact your life in a substantial way. One of these communities for me has been Reddit. 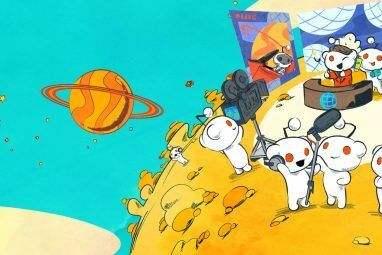 If you do not know what Reddit is, check our Reddit guide. I love Reddit not because of its design or features, but because of the culture that exists there as well as the content which people find and post. However, if you just visit the site and want to immediate get all of its benefits, it’ll take a bit of time to orient yourself to make use of all its features. The main idea of Reddit is the ability to post something to a subreddit (explained below), whether it be a link or a message, for other people to see. People can then “upvote” or “downvote” links that have been posted as well as comment on posted links or messages which themselves can be upvoted or downvoted. The idea behind upvoting and downvoting is that it will promote good links and comments or hide those which are bad. Reddit is made up of smaller communities called subreddits. All subreddits can be found in an /r/name format, so that means r/technology can be found under www.reddit.com/r/technology. There’s a vast amount of different subreddits already available, all just a guess or search away. For example, if you like food, there’s /r/food, and if you like cute animals, there’s /r/aww. You can subscribe to a subreddit by visiting it and then clicking on the Subscribe button on the right side of the page. Whenever you visit reddit.com, you’ll automatically be sent to Reddit’s Front Page. This is the page that displays the links out of all subscribed subreddits with the most upvotes – the most popular items posted in those subreddits. If you don’t have a Reddit account or aren’t logged in, Reddit will display the top content of 20 default subreddits. If you’re logged in, however, it’ll display the top content out of all subreddits that you’re subscribed to. 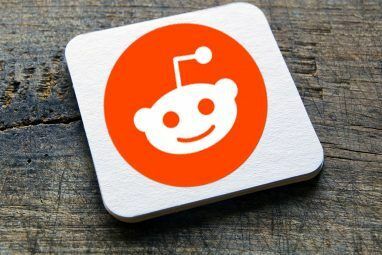 Now that you’re aware of Reddit’s basic features, there may be a few things that you have to be aware of about the community. While each subreddit is highly focused on the topic for which it exists, it is easy to tell what the general community is like based on the default front page contents. Community members absolutely love items in the “funny” and “aww” subreddits, but political links are most often left-leaning. Additionally, members feel very strongly about technological issues, such as the speed and price of consumer Internet or freedom of information. Redditors can also be extremely polite, but other times they speak their minds fully and without a censor. However, if these aspects of the general community aren’t appealing to you, then sticking to the subreddits you’re most interested in will keep you safe. Users post a huge amount of highly intriguing content that could literally improve your life or knowledge. If you don’t like the default Reddit experience or think that it’s missing a couple features which could just make it that much better, you may want to take a look at the Reddit Enhancement Suite Use Reddit Like A Boss With This Combo Package Use Reddit Like A Boss With This Combo Package Today, we're going to take a look at a couple of browser extensions that will enhance your Reddit experience. One of them is an old fogey, so you might of already heard of it by... Read More . It’s an unofficial improvement to Reddit that is applied by the use of extensions which are available for Chrome, Firefox, Opera, and Safari. With the RES, you get a bunch of small features that make a big difference, such as account switcher, live comment preview, inline image viewer, endless scrolling, and much more. Any Reddit power user should highly consider using the RES. You can find it by visiting this site. Of course, this is just a short introduction to Reddit and what is has to offer the Internet. Overall, I absolutely love the kinds of people which use the site, as well as the wealth of knowledge and pictures which are posted. There are plenty of other hidden goodies of Reddit which I’ll let you discover on your own. However, my favorite custom is AMAs, or “Ask Me Anything” threads. Many famous people including Barack Obama have posted such threads and directly answered questions from any average joe. 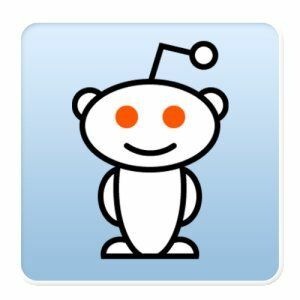 Don’t forget, if you want a much deeper introduction into the world of Reddit, MakeUseOf has a fabulous Reddit manual which is completely free for you to download! Have you been on Reddit? What’s your favorite subreddit? Let us know in the comments! Really enjoyed this guide. Thanks a lot. All right! Just what I been waiting for you guys to do! Thanks! Reddit Enhancement Suite makes Reddit so much more enjoyable to browse. Also, Alien Blue is the best mobile client for Reddit on iOS. Thanks for suggesting Alien Blue! On Android, I absolutely love BaconReader. Not just for the name. To discover new or interesting reddits. I just took a look after your recommendation...why is this so interesting to me? Nice pick!